Unveiling the Enneagram – Intro 1 | The Enneagram ...info from the underground. Gurdjieff introduced the Enneagram symbol to his students in 1916, in early talks given in Russia. 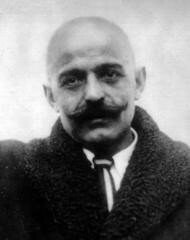 The content of Gurdjieff’s lectures on this subject was recorded and presented by P.D. Ouspensky in his book, IN SEARCH OF THE MIRACULOUS: FRAGMENTS OF AN UNKNOWN TEACHING, published in 1949. The following are some of the main points which Gurdjieff discussed when introducing the Enneagram, according to the account in Ouspensky’s book. 1. The Enneagram symbol was developed in order to express objective truths, due to the difficulty of expressing objective knowledge in ordinary words and language. 2. One of the most important “objective truths” is Unity– that is, the unity of all things; unity in diversity. transmitted through either logical, philosophical systems or through religious doctrines. The person receiving the transmission of these ideas was required to undergo special preparation. 4. Distortions and corruptions always creep in, because objective truths can only be truly understood through states of objective consciousness. When the subjective mind attempts to comprehend objective truths and/or their representations and forms of expression, it ends up leading to delusions. 5. Since human language has developed in order to express the impressions of subjective consciousness, it is a poor vehicle for the expression of objective truths. Therefore, people with access to objective knowledge have used myths, symbols and verbal formulas of various kinds in order to express, preserve and transmit their knowledge from person to person and generation to generation. These forms are designed to transmit knowledge directly to a person’s higher centers of consciousness, and cannot be truly understood through the ordinary, subjective mind. 6. Symbols were designed for the higher intellectual center, and myths for the higher emotional center. “As above, so below”– which emphasizes the correspondence between the microcosm and the macrocosm– found in the Emerald Tablet of Hermes Trismegustus. “Know Thyself”, found in the Temple of Apollo at Delhi and popularly associated with Socrates. 8. In the case of symbols, some of these were diagrams which both expressed objective knowledge of the fundamental laws of the universe and also showed the way to that knowledge. The study of symbols was used as a preparation for the receiving of objective knowledge. This study can be approached by attempting to understand the laws of duality and trinity, and the most direct and practical way of doing that is through noticing and understanding how these laws operate within oneself. 9. Paradoxically, these symbols of objective knowledge can only be truly understood by a person who already possesses objective consciousness. 10. Systems such as theosophical addition and the symbology of geometric figures, cabbalistic words and letters, magic, alchemy, astrology and the Tarot are all means of transmitting the idea of Unity. However, incompetence and ignorance in these matters can transform these into “instruments of delusion”. One reason for this is that the symbols express the unity of endless diversity, and therefore have endless aspects which can be examined. They cannot be interpreted literally, rigidly, uniformly and dogmatically, reducing their complexity by ascribing a a final and definite meaning. Instead, understanding these symbols requires the ability to see multiple points of view simultaneously. 11. The right understanding of symbols cannot lead to dispute. It leads to deeper knowledge, and also increases the striving towards actual results, so it does not remain theoretical. 12. There is such a thing as the “symbolism of speech”. According to G, “To understand the inner meaning of what is said is possible only on a certain level of development and when accompanied by the corresponding efforts and state of the listener” (ISOM 284). However, instead of approaching things heard in this way, people begin to dispute, refute, and maintain opinions which are believed to be right but which have no relation to what is being said. 13. A person needs to learn how to listen before he or she can understand symbolic speech. Attempts at literal interpretations of speech dealing with objective knowledge and the union of diversity and unity is doomed to failure and leads to even more delusions. 14. The intellctualism of contemporary education produces a tendency in people to look for logical explanations and engage in logical arguments against everything they hear. This desire for exactitude in definitions becomes an unconscious fetter. In the sphere of higher knowledge, these kinds of exact analytical definitions imply inexactitude in meaning. 15. Conveying the exact knowledge of details before there is an understanding of the essential nature of a thing increases the difficulty of understanding that essential nature. Exact definitions DO exist on the way of true knowledge– “only there do they exist”– but they are very different from what we usually concieve them to be. 16. A person will not attain knowledge except through themselves and through making the necessary efforts. No one can give a person what they did not possess, or do for them work that they need to do for themselves. The only thing that can be given is an impetus. Symbolism, properly perceived, acts as an impetus for this kind of knowledge.